Let's All Make New Friends"
Sunday, June 12, noon to 4 p.m. In Febuary 2011, Gov Scott Walker dropped a bomb on WI Citizens and taxpayers. The “Budget Repair Bill” took money, services and rights from middle class and working families, students, children, City and County Services, Bus Lines, the elderly, the disabled, and the environment. These groups, when you add them together make up the vast majority of Oshkosh, Winnebago County and the Great State of WI. This package of bills in the initial ‘special session’ of the WI Legislature not only removed these rights, funds and services from those who most need and deserve them, but the series of bills turned many of these funds over the wealthiest and least needing of these funds. Gov. Scott Walker did not do this alone; he had a well-placed ally in the WI State Senate and on the powerful joint finance committee - Senator Randy Hopper. But, I would like to clear the air. Many people have since said that Senator Randy Hopper was following Gov. Scott Walker without question – going along with marching orders from his party and his Governor. I disagree, I do not think that was what Senator Hopper was ‘going along’. Senator Hopper was leading the way on these family and job destroying policies. He was a co-sponsor or author of many of them. Now, as Scott Walker’s anti-WI, anti-poor, anti-family, anti-worker, anti-job budget is released from Sen Hopper’s Joint Finance Committee, it is no longer Gov Walker’s budget, It is Senator Randy Hopper’s Budget. Randy Hopper supported most of the anti-WI Family, Student, and Community provisions in the budget, and made several of them worse. He has also introduced legislation and budget amendments gutting the State of WI’s ability to collect revenue funding services for City Busses, plowing, garbage collection, County Human Services for the frail elderly, vulnerable disabled and birth to 3 development programs, to name a few. His attack on worker and family rights to make a decent middle class living will not only harm those workers and families, but as I stand here on the gateway to the revitalized Oshkosh Main St, I am reminded that everyone of these families, elderly, disabled individuals and students are their customers. The shock to Oshkosh’s economy when the city can no longer afford to run the busses that bring their customers here, and if they get here, these customers will no longer have the funds to shop at their places of business. You see, this is where jobs are created in the markets and by everyday consumers. By limiting funds to cities and counties, the services we provide to encourage local business will stop. By cutting pay and protections of state workers, we not only lose the money they spend in the local economy, but the comparables that are used for pay in the private sector locally. The pay scale of a professional working in the Bank Building across the street is directly affected by the pay of professionals at the university. When Rany Hopper cut the Homestead Credit for people who earn less than $24,500 a year and the Earned Income Tax Credit – a $20 million dollar tax increase on working families he denies Oshkosh business the local funds that many families spend here on Main St, Oregon St, the frontage roads and throughout our local economy. These are jobs, revenues for schools and security for our citizens that Randy Hopper has shipped away. I will end my remarks with the statement I made to Sen Hopper’s Committee on Joint Finance at the Neenah hearing: “The budget is a moral statement.” Sen Randy Hopper has decided it is moral to balance the budget at the expense of the vulnerable, students, city and county services and all, public and private who go to work every day hoping their sweat, time, talent and knowledge will create a better future for their families and communities. Those are not Oshkosh Morals. Those are not Winnebago County Values. And that is not the WI Heritage I learned. (Oshkosh, WI.) The city of Oshkosh has just released its first annual Sustainable Oshkosh Report. The project was a joint effort between the Sustainability Advisory Board and city staff. The report is the result of training received by city staff at last year’s Fox Valley Sustainability Training Seminar. “Several municipalities in the Fox Valley area have been working towards sustainability initiatives over the past few years and this report highlights some of Oshkosh’s efforts,” said Oshkosh Principal Planner Robin Leslie. The report is available on the city website, www.ci.oshkosh.wi.us. If you would like more information, please contact Principal Planner Robin Leslie at (920) 236-5058.
the system and its services over the next five years. Monday, June 13th - 1:00 p.m. to 3:00 p.m.
Monday, June 13th - 5:30 p.m. to 7:30 p.m. The draft TDP can be viewed at www.oshkoshtransit.com or by clicking here. Hard copies of the plan can also be reviewed by contacting Dave Vickman of the Oshkosh Transit System at (920) 232-5340. The draft TDP was created through a process facilitated by the East Central Wisconsin Regional Planning Commission and overseen by a steering committee comprised of community representatives and other stakeholders. Numerous public input opportunities were made available throughout the planning process. Public input was the primary driving force for recommendations identified in the plan. The previous TDP for OTS was completed in July of 2005. 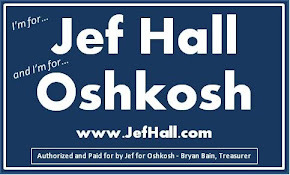 For more information, please contact Chris Strong, City of Oshkosh Transportation Director and Manager of the Oshkosh Transit System, at (920) 232-5342 or cstrong@ci.oshkosh.wi.us. The Leach Goes Green for Waterfest 2011 - "All of the electricity for the Leach Amphitheater will be supplied by renewable energy for all the Waterfest performances"
the Leach Amphitheater will be supplied by renewable energy for all the Waterfest performances. This includes wind and biomass technologies. The new program is possible through Wisconsin Public Service’s NatureWise partnership with Waterfest and the City of Oshkosh. “The renewable energy features of NatureWise help show the city’s commitment to sustainable practices and our environmental principles,” said Oshkosh Parks Director Ray Maurer. The Waterfest concert series begin at 5:00 p.m. on Thursday, June 9th with Men in Suits, The Tossers, and Vic Ferrari. For the complete Waterfest schedule, please visit www.waterfest.org. For more information on NatureWise, please visit http://www.wisconsinpublicservice.com/business/wi_naturewise_tell.aspx. For information on the City of Oshkosh parks system including the Leach Amphitheater, please visit www.ci.oshkosh.wi.us/Parks/ or contact the Parks Department at (920) 236-5080.